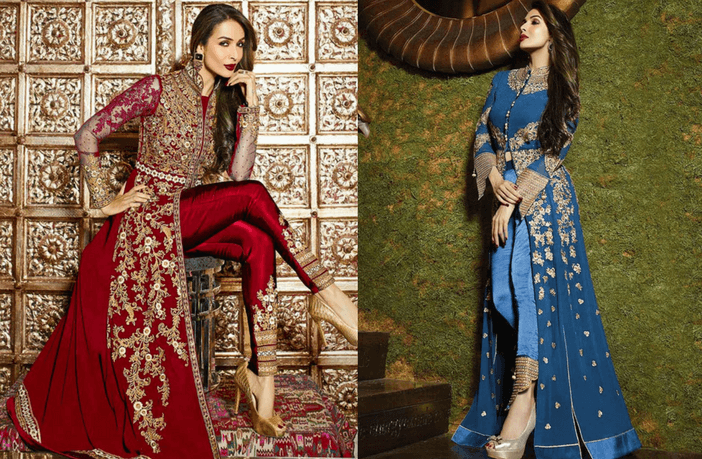 How to look stylish on Lohri? Lohri is a Punjabi Folk Festival which commemorates the passing of the peak winter and this is the time of the year when the rabi crops are harvested. It is celebrated the night before Makar Sankranti. There are many legends about the Lohri festival. Almost every year, it falls on the 13th January. On the night of Lohri, a bonfire is lit and all the family members are required to perform a parikrama around this bonfire while chikki (gajjak), sesame revri, made from sugarcane and popcorns are tossed into this bonfire. This is done as a prayer to fire (agni) for abundant prosperity and crops. After the parikrama, everyone dances to punjabi lohri songs. The first Lohri of a newly wed couple and a newborn child are especially celebrated with all relatives and friends and a mighty feast. In different parts of Punjab, it is celebrated differently. It is a traditional practice to wear ethnic clothes on this festival. 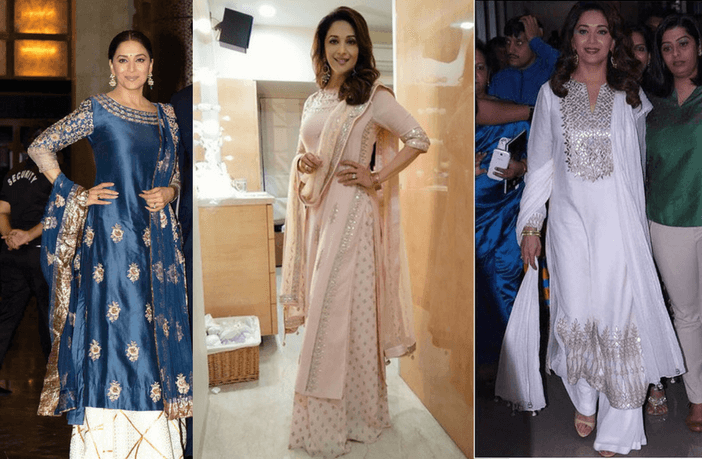 Women love to dress up in ethnic clothes on Lohri. There are various options that you can choose from. This is the most popular and evergreen choice for an ethnic celebration. Bold colors with zardozi work on them will make it look really festive. A punjabi juti can complete the look. A long floor length anarkali gives a very royal look and makes you look tall. This is a great choice for those who are short heighted. Tall women also look very classy in this attire. Another trending fashion is to team up palazzo pants with a long kurta. 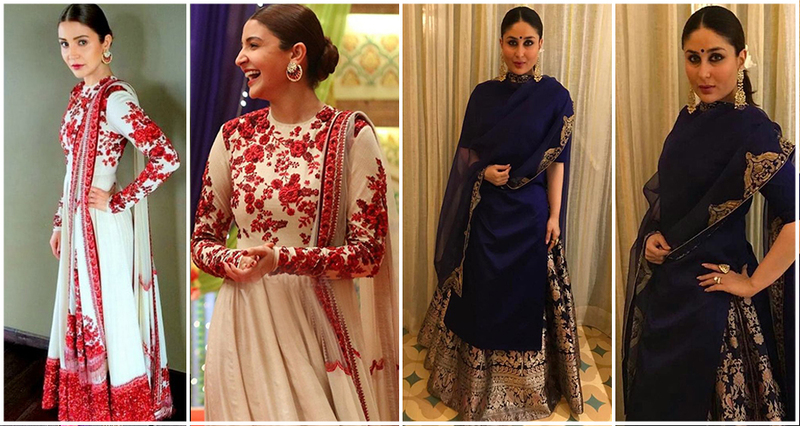 Various Bollywood celebs have also been seen sporting this style. It looks really stylish and you’re still dressed up in ethnic clothes. If you feel that palazzo isn’t your cup of tea, try wearing your long kurta with a set of fitted straight pants. Team it up with a pair of high heels and see as you get all the attention. The biggest advantage of wearing a long kurta is that you can easily wear a warmer below it and feel the warmth. So, no compromise on fashion or warmth!! A sharara style salwar teamed with a long kurta is also a great option if you have a thin stature. It makes you look fuller and enhances your beauty. Wear traditionally styled neckpieces to complete the look. A passa on the hair can also look good. 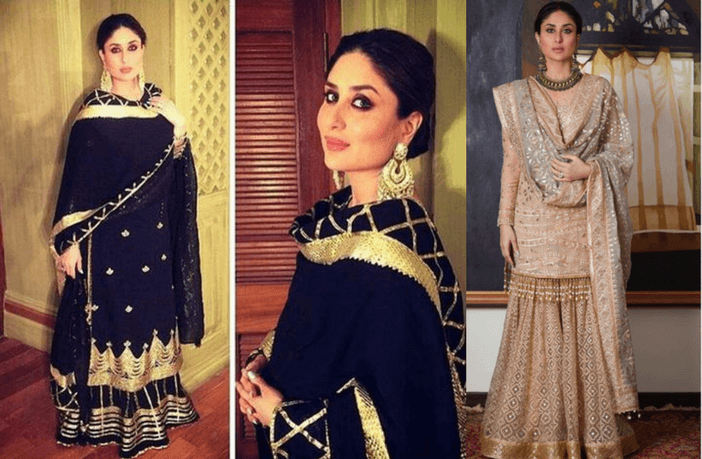 If you don’t want to carry a dupatta and keep your hands free, you can opt for a simple kurta with a jacket and a churidaar or a patiala salwar. This is the most comfortable attire and looks very elegant. 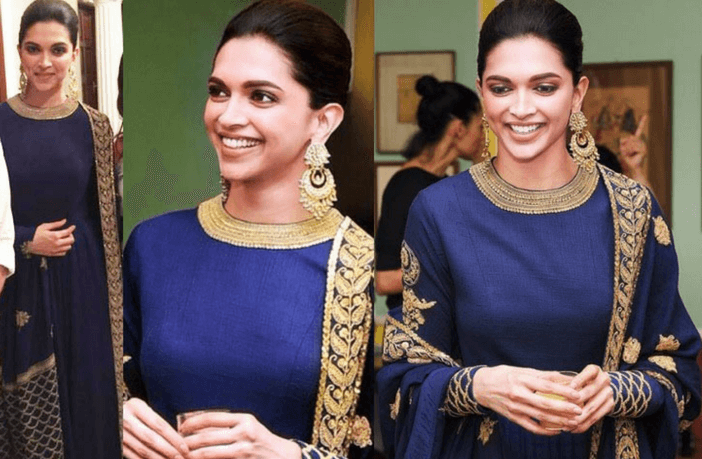 You can complete the look with a colorful parandi, jhumkas, and a bindi. Share with us the compliments you got, after you dressed up for Lohri!